Note - Export inquires for bulk quantity is welcome. - Common Name : Garden Cress, Pepper Grass, Garden Pepper Cress, Pepper Wort. - Part Used : Roots, Leaves And Seeds. - Habitat : Cultivated throughout india as a culinary vegetable. An erect, annual herb grows up to 50 cm height. Leaves variously lobed, entire, leaves in lower part are petiolate, and upper sessile; flowers white small and found in recemes. Fruits obovate pods, about 5 mm long, with two seeds per pods. 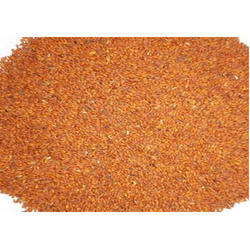 We offer a high quality range of Halam (Asalia) which is great demand in the national and international market. These are procured from certified vendors and are hygienically packed in order to ensure their freshness and aroma. We offer our range in various size packaging, to suit the customer requirements. 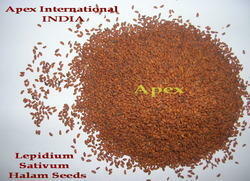 - Botanical Name : Lepidium Sativum Linn. - Common Name : Garden Cress. - Hindi Name : Halon, Asalia, Halo, Habul Reshad.